A happy group of 138 Gaston County teachers went home with their arms full of new school supplies this week, thanks to a generous donation to Classroom Central from the Allen Tate Companies. 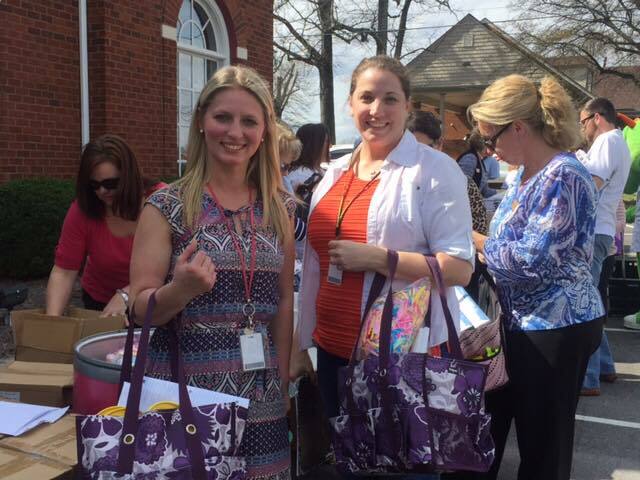 The invitation-only event, held at the Allen Tate Realtors® office in Gastonia, provided qualifying Gaston teachers the opportunity to “shop” for free and select the supplies most needed by the high-poverty students they serve. Each teacher was provided with a box of supplies valued at $95, for a total donation of $13,110. 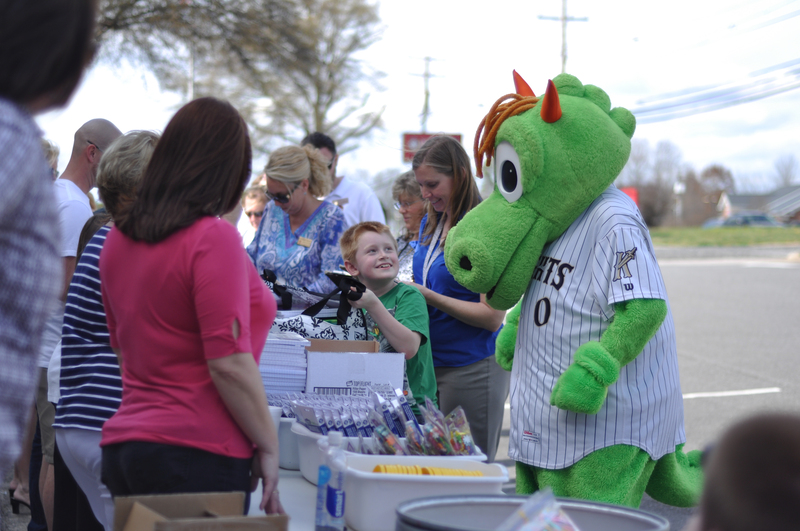 Homer, the Charlotte Knights mascot, was on hand to help with the distribution. The Allen Tate donation was part of the company’s Tate Cares giving initiative, which benefits public education; arts, culture and history; and United Way. Each fall, the company holds regional FUNday events to raise money for local public education organizations like Classroom Central. More than $129,000 was raised from the company’s 2015 FUNday, for a total of more than $1.65 million contributed to public education in the past 18 years. “Thank you to Allen Tate for sponsoring this event and for your support of teachers and students throughout the Carolinas,” said Karen Calder, executive director, Classroom Central. Classroom Central equips students living in poverty to effectively learn by collecting and distributing free school supplies. Operating in six school districts and supporting over 200 schools and over 100,000 students, Classroom Central helps level the playing field for our region’s students in need. Since its inception in 2002, Classroom Central has distributed over $45 million in school supplies. For more information, visit classroomcentral.org.